Nigel G. Mitchell - Author, Blogger, Geek: 5 Novels You Should REALLY Read If You Liked "The Hunger Games"
5 Novels You Should REALLY Read If You Liked "The Hunger Games"
Most “If you liked The Hunger Games” lists usually list other Young Adult dystopian novels written in the last fifteen years. To me, going from one recent YA novel to another ignores the rich history of dystopian SF from the last hundred years, and also ignores books not aimed at children. There are some extraordinary dystopian novels that create a richer and deeper experience, and have stood the test of time. The Hunger Games borrowed ideas and themes from many of them, and you should read the originals to see them fully developed. 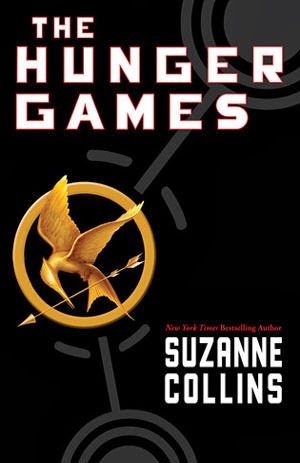 Here are five novels you should REALLY read if you like The Hunger Games. 1. The Running Man – A book about an ordinary person forced to run for his life against highly trained enemies, all for the entertainment of the TV viewing audience. It sounds like a sequel to Hunger Games, but it was written decades earlier by Stephen King under the pen name Richard Bachman. There’s no doubt that Running Man is a grandfather and major influence on The Hunger Games. Running Man is a lot darker than Hunger Games, while also more fully exploring the themes of exploitation and desperation. 2. Fahrenheit 451 – If you read Hunger Games instead of just watching the movie, you probably love books. Fahrenheit 451 is a classic dystopian novel for readers. In a future where printed books are banned and any copies are burned, one fireman re-discovers the joy of reading. 451 is one of the pillars of modern dystopian fiction, and even more relevant in today’s digital world. 3. 1984 – The Hunger Games has an oppressive government that controls its population through fear and manipulation, but there’s never been a more detailed and haunting dystopian government than the one described in 1984. In 1984, the government uses everything from television to language to an intricate network of spies to control its citizens. Hunger Games takes some elements of 1984’s dictatorship, but the IngSoc of 1984 makes PanEm look like a bunch of amateurs. 4. Anthem – In The Hunger Games, America is ruled by the government of PanEm through military might. In Anthem, the government controls citizens by squashing identity itself. In this dystopian novel, the very concept of individuality has been suppressed to the point where everyone identifies themselves only as “we.” This novel is not only unique, but also has a romantic subplot that rivals the Hunger Games. 5. The Handmaid's Tale – The hero of The Hunger Games is female, but her gender really doesn't enter into the trilogy much. PanEm is bad for both men and women. If you want to read a novel about a nightmarish world that threatens womanhood, The Handmaid’s Tale is your best bet. After a devastating plague renders most women infertile, a religious dictatorship forces the few remaining childbearing women into enslavement. It’s guaranteed to make you think about the role of women in society.